Upton Park. Upton is derived from up and Old English tun - a farm - and means 'the farm, or homestead on higher ground' once in a park, and the district is so named. 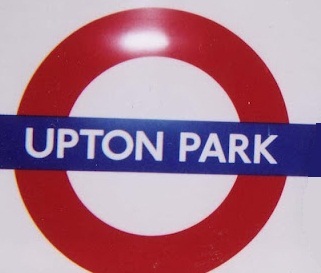 The station was opened as UPTON PARK by the L.T.S.R. in 1877 and first used by Underground trains on 2 June 1902.